The famous T-shirt gets it right: Ithaca really is gorgeous. 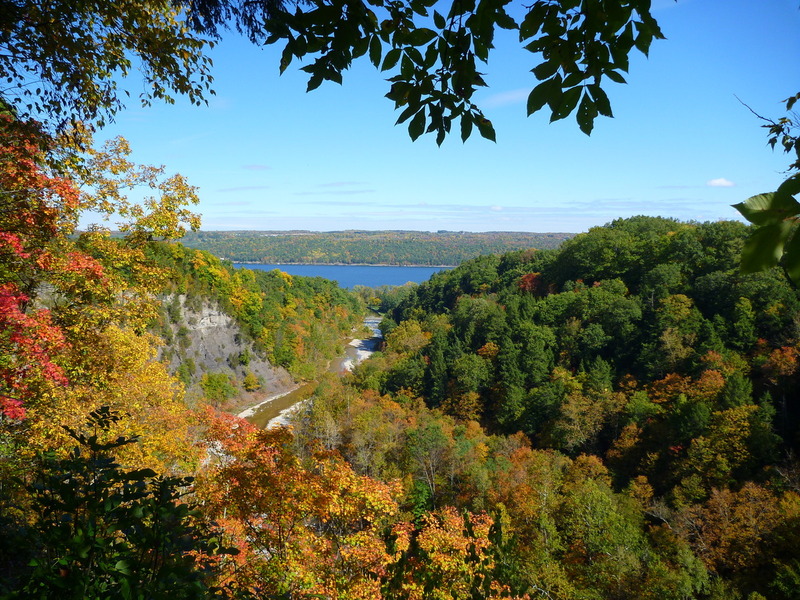 On a recent visit to the college town in Upstate New York, fall colors added additional spectacle to the hiking trails that crisscross the state parks in and around Ithaca. At Taughannock Falls, home to an impressive 215-foot-high cascade, at least one painter took to the plein air with his oils and dogs ran free off their leashes, splashing through the creek that cut a gorge into the shale. Nearby, Cascadilla Gorge tumbles down the hill from the Cornell University campus to downtown Ithaca. A hiking trail -- partially under construction at the moment -- follows the path of the stream, lined during my visit with outstanding fall foliage. Other gorges and waterfalls abound. Buttermilk Falls has hiking trails I didn't have the chance to explore on this visit. Watkins Glen State Park, a few miles west of Ithaca, also has a stunning gorge trail and no fewer than 19 waterfalls to enjoy. While the fall colors have just about expired, the coming season's spectacle -- waterfalls frozen in place -- may be just as impressive.